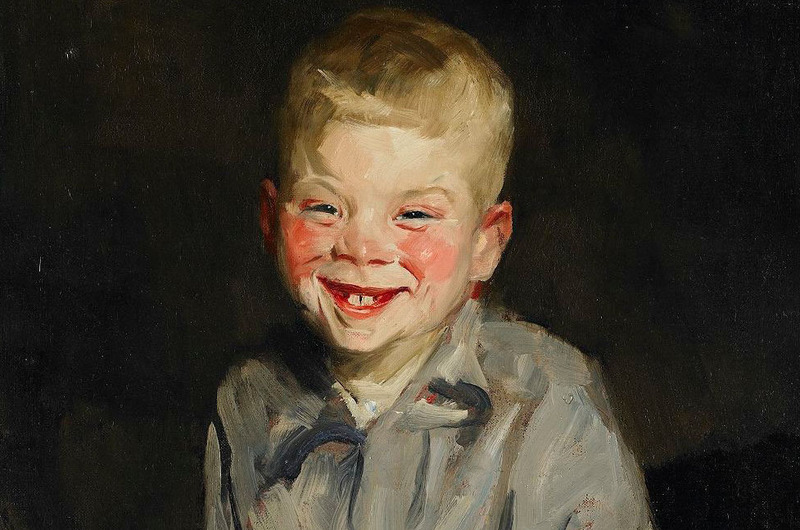 Robert Henri, The Laughing Boy, 1910. Last night, I was part of a panel on the late novelist Dame Muriel Spark, in concert with the publication of The Informed Air, a collection of her essays. In no way am I an expert, but I am a devoted fan—more and more as I get older—and I was glad to take part in the celebration of a writer who should be more widely read. Everyone agreed that Spark is frequently hilarious. At least, we thought so. In the course of the conversation, my friend Emily and I discovered that in recent months both of us had attempted to read particularly amusing passages aloud to respective boyfriends, and the men in question were completely unmoved. She wondered if it was a British-American thing; I wondered if it was a male-female thing. Whatever it was, it was awkward. By chance, another friend returned my copy of Iris Owens’s After Claude this week. It should be said that I consider After Claude’s first half to be one of the funniest things I’ve ever read. I literally laughed out loud on the subway, and I’m not prone to losing myself so thoroughly. My friend, however, told me that he “couldn’t get into it.” And in such situations, there’s no point in explaining why something is hilarious—and why someone is wrong. Maybe I’m extra sensitive on the point. My parents used to have quite serious fights about which of the Marx Brothers was funniest—my dad felt that my mom’s preference for Groucho revealed a fundamental character flaw, and by implication, a cache of contemptible conventionality. One always felt that somewhere behind his words was the certainty that, had she been alive and in a position to, she just might have had a Bad War. “It was Mother, Father,” replied Miss Dew, oddly.